1700 Received 103 rounds counter battery fire while firing at Canh Duong Xa Bridge Approach. Closest rounds bracketed ship at 50 yards. 1900 Received 69 rounds counter battery fire while preparing to fire on My Duyet Ha Hwy Bridge. Closest rounds landed 20 yards from the bow and close aboard on the starboard side. Shrapnel was showered on deck. 1400 ...taken under fire by coastal defense site. Took closest rounds close aboard with shrapnel on the decks. 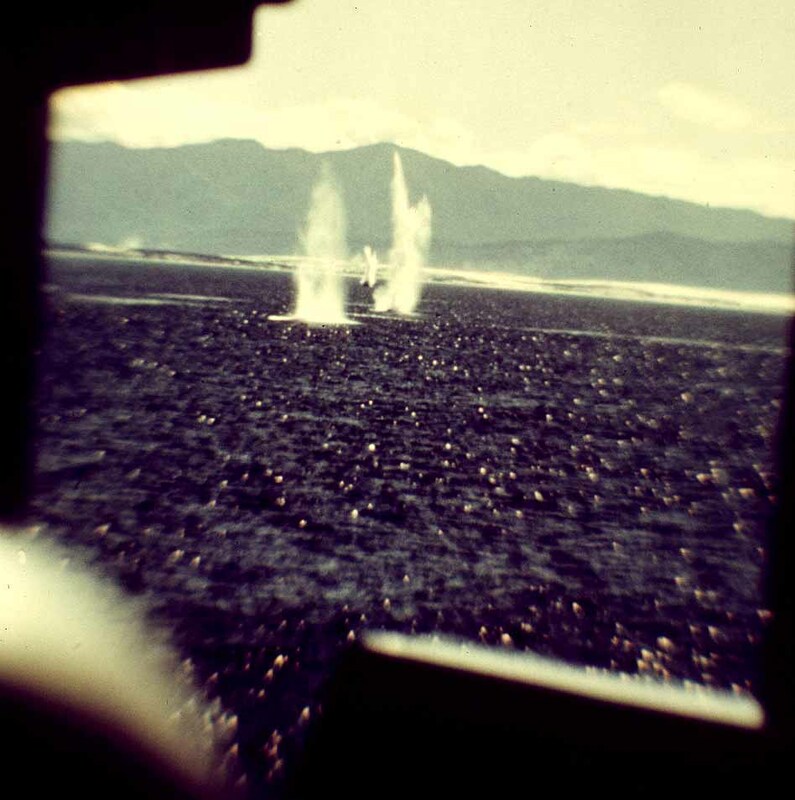 1530 Received counter battery fire with 86 rounds landing in the vicinity of DAMATO. Shrapnel landed on decks. Nearest explosion 10 yards off the bow and 10 yards astern. 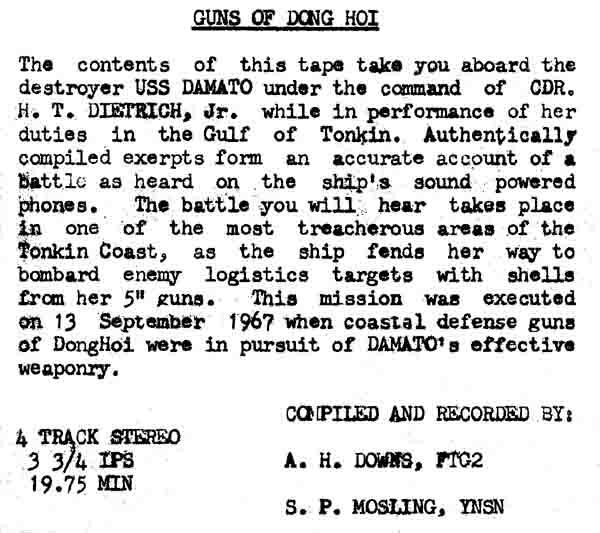 At 0700, 13 September 1967, a spotter aircraft assigned to the task unit consisting of DAMATO and DEHAVEN, detected seven large logistic craft in the Dong Hoi area, moored in the Song Giang River. 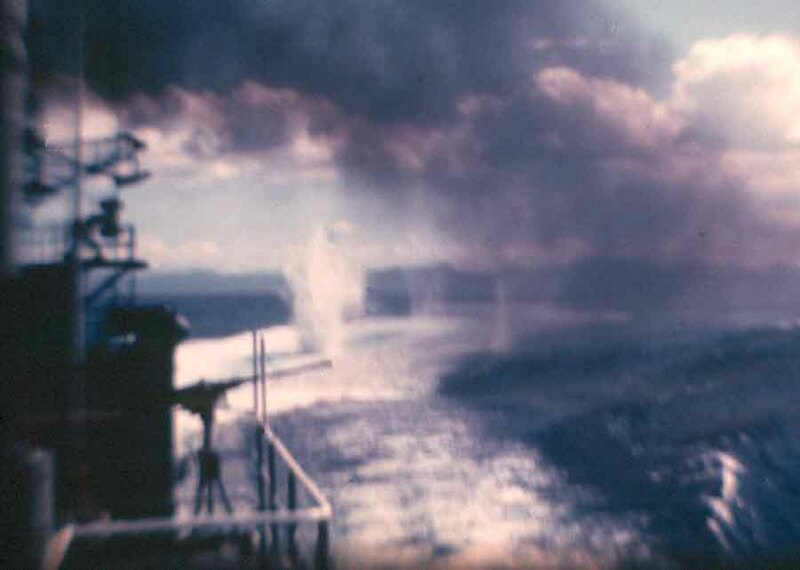 DAMATO and DEHAVEN came to firing position and at 0758 commenced fire. Twenty-six rounds were fired with no visible results. 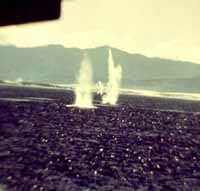 At 0809, the enemy opened up with heavy counter battery fire estimated at being over 200 rounds. Both ships immediately turned seaward at flank speed while directing fire at the gun sites. Enemy rounds landed all around the ship and there were several air explosions. At 0811, DAMATO took a direct hit on her port side, frame 57, on the 01 level. 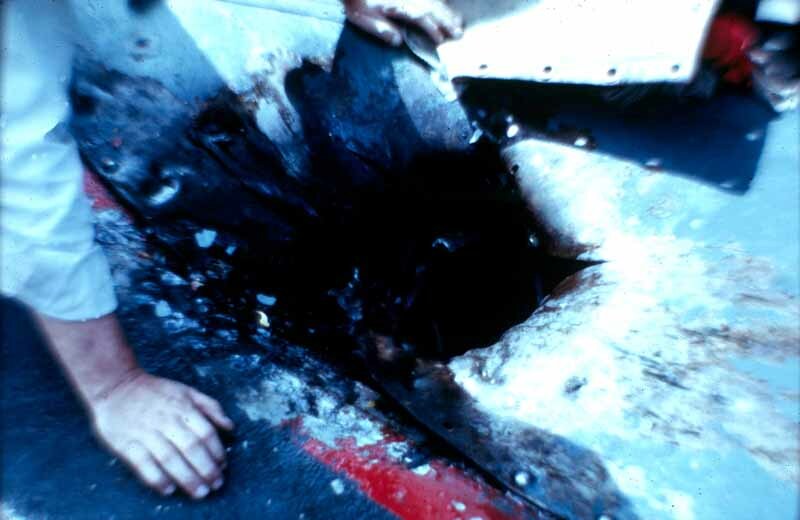 The enemy shell went through the torpedo deck leaving a one foot by two foot hole and a large hole in the bulkhead between the main deck and the torpedo deck. It then passed into the Captain's cabin, completely destroying the interior. At 0814, DAMATO took a second direct hit on her ASROC deck, frame 110. 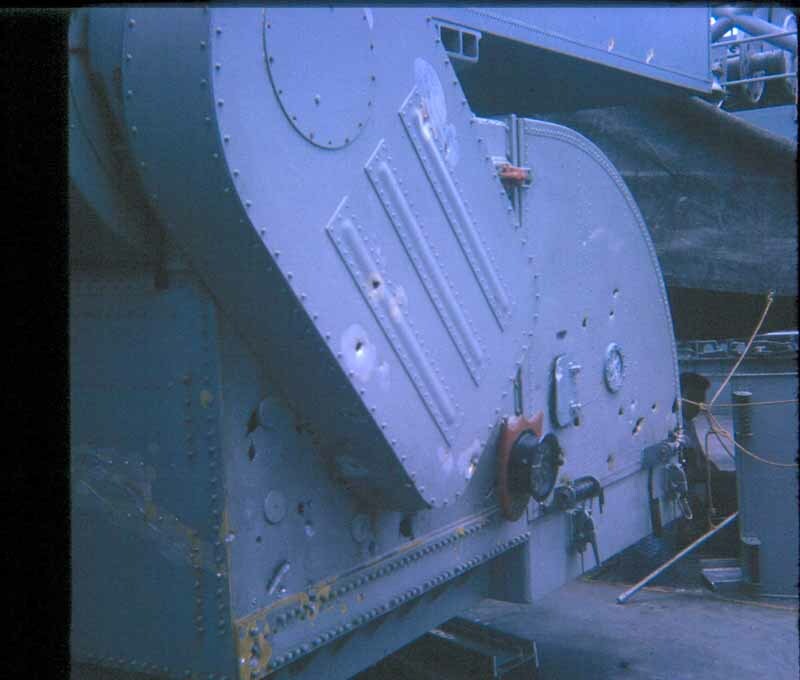 The blast put a large hole in the deck and numerous holes in the launcher itself. 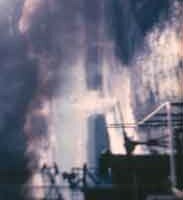 The shell passed through into the supply office and exploded against a heavy band of high power cables in the amidships passageway. Directly under the cables was Second Class Electrician Roy Whitehurst who escaped with a minor scratch. DAMATO fired 102 rounds at the enemy sites. After emergency patchwork on DAMATO, both ships made a high speed retaliatory run on the gun sites from 1331 to 1344 with DAMATO expending approximately 45 rounds. One secondary explosion and fire was observed. 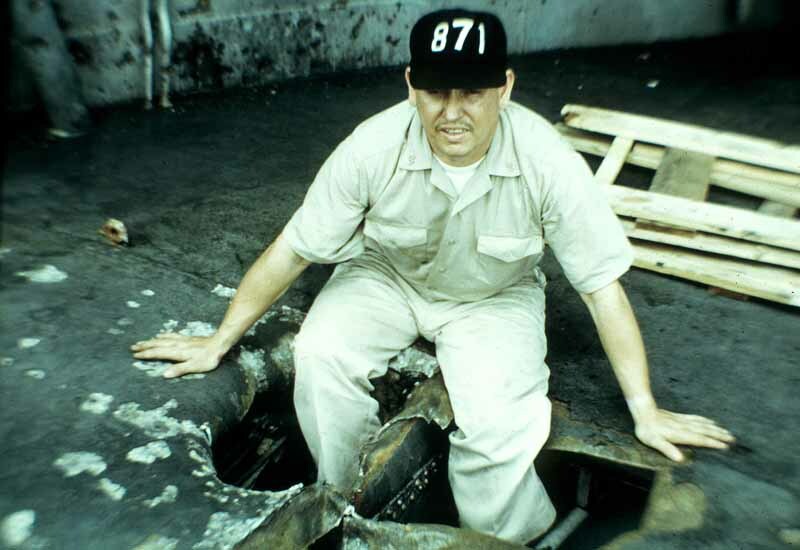 Upon completion of the mission, Commander Destroyer Division 222 was transferred to DEHAVEN and DAMATO was detached to proceed to Subic Bay, Republic of the Philippines for emergency battle repairs. 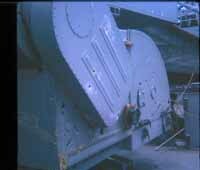 At Subic Bay the ASROC launcher was removed and replaced with a mortar that was used to fire chaff. It soon became known as "mount fifty one and a half". 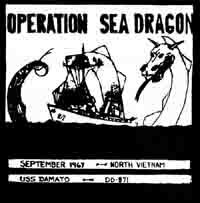 For an overview of Operation Sea Dragon, take a look at: http://hawgheadtoo.tripod.com/OpSeaD.html an excellent article by Lawrence M. Greenberg. 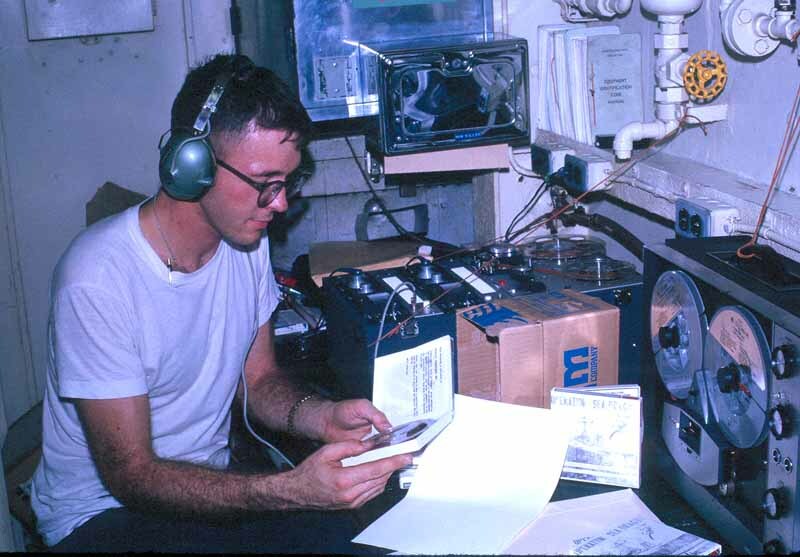 On the morning of the 13th, before we went to general quarters, I had set up my tape recorder to record two sound powered phone circuits - the main battle circuit connecting the bridge to the weapons department, and the gunnery circuit connecting PLOT with the gun director and gun mounts. I captured the whole thing on tape. I thought it would be fun to share the tape with my family, but it was over an hour long - the exciting parts were mixed with a lot of boring stuff and long periods of dead air. I decided to edit the tape to remove the boring stuff and the dead air time, but to do that, I needed a second tape recorder. I approached S. P. Mosling, YNSN and offered to make a copy for him if he would help me with the editing. Not only did he have a recorder, but as a yeoman, he had access to an office space that we could use to do the editing. As the work progressed and shipmates learned about what we were doing, we began to get inundated with requests for extra copies, so we decided to expand the scope of the project. In addition to the 13 September material, we would make additional recordings until we had enough material to put together a fictitious mission from beginning to end. We would make up a jacket for the tape, and sell copies to any of our shipmates who wanted them. The first step was to get permission from the XO. Lieutenant Commander Wheeler, the DAMATO's executive officer, expressed concern for the image of the Navy. 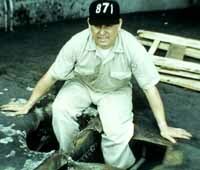 He wanted to be sure that the crew of the DAMATO would be shown in a favorable light. Specifically, he required that the tape contain no strong profanity. We agreed and received permission to proceed. We spent many off duty hours listening to tapes, finding and cataloging interesting sections, then putting them together to form a story. Although not everything on the tape was recorded during the 13 September mission, the result is a reasonably accurate picture of that mission. We found someone (I believe it was D. Bird, SN) to draw a cover picture for us. We bought 48 blank tapes and started copying. 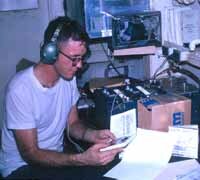 We were allowed to set up shop at a table on the mess decks to offer our tapes for sale on pay day, 6 November 1967. 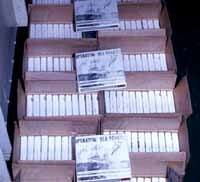 We sold 46 tapes to the first 55 or so crew members who came through the pay line, and took orders for over a hundred more. By the time the project was completed, more than half the officers and crew had bought copies. 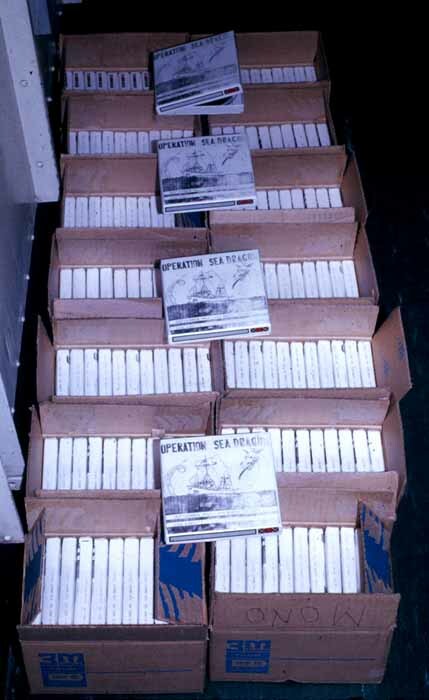 Of the 219 total tapes made, 210 were sold, 1 each were given to the Captain, to Gunner Vonderlinde, and to Bird (cover artist). Mosling and I kept 3 each. The project was not designed to make money. As I remember it, we bought the blank tapes for about $1.00 each, and sold the finished product for $1.50. We put an estimated 150 to 200 hours into the project. Some time after I left the Navy, I visited the DAMATO in Boston where it was serving as a reserve training ship. I was pleased to hear from the sailor that showed me around that a copy of the tape was still aboard.